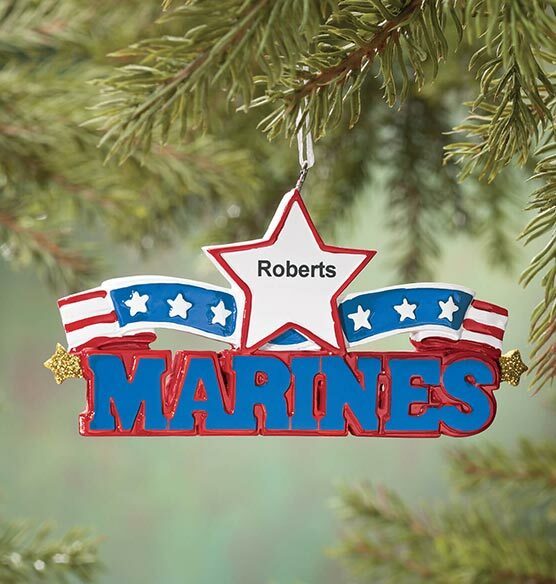 Christmas is a great time to honor a veteran or loved one currently serving our military—and this personalized resin military ornament offers a personal salute! 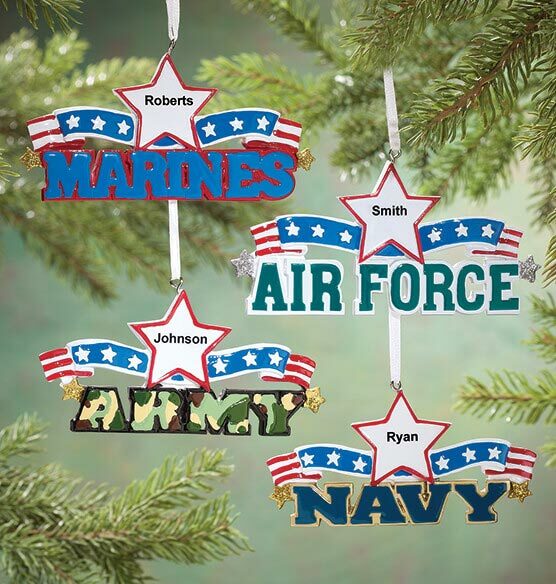 Artfully crafted of colorful resin with star-spangled banners, the Christmas ornaments spell out "ARMY" (4 1/4" wide x 2 1/8" high), "NAVY" (4" wide x 2" high), "MARINES" (4 1/2" wide x 2 1/8" high) and "AIR FORCE" (4 3/4" wide x 2 1/4" high). 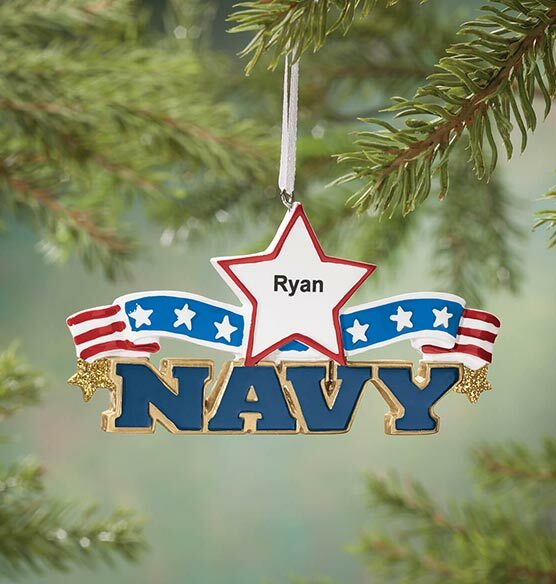 We'll add one special name to the star on top, creating a gift to show your appreciation. 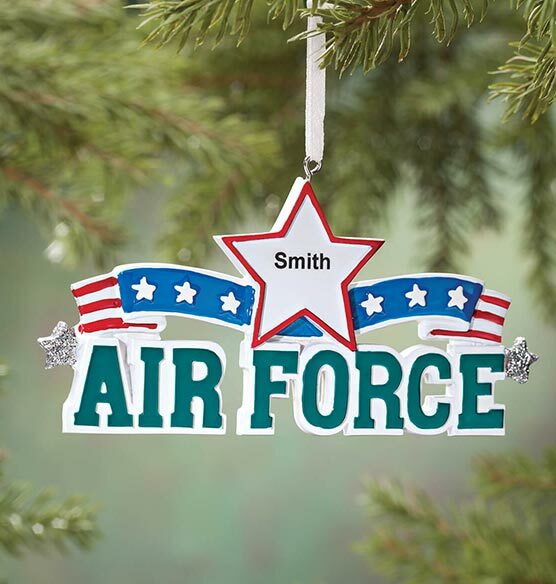 Specify military branch. Specify name; limit 1 line, 10 letters/spaces. 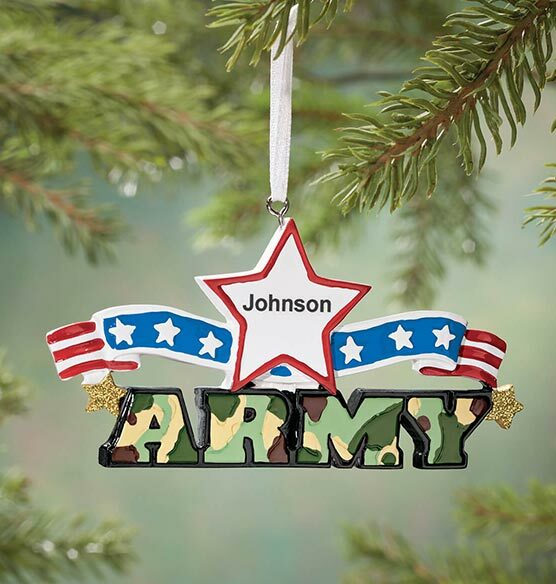 Resin ornament includes ribbon for hanging.